Do you know your target audience? You, like many advertisers, may be quick to answer this with “yes,” but oftentimes there are blind spots that can hinder reaching your true audience. When there are blind spots in an advertising strategy, valuable advertising dollars are wasted. This post will provide you with three common mistakes advertisers make when selecting their target audience and tips on how to avoid these pitfalls. You’ve perfected your product/service and it’s top-notch. You want to shout it from the rooftop and tell the whole world. Why not start big? You’ve heard the common phrase, “Go big or go home,” right? Wrong. By setting your target audience too large you will ensure that your marketing dollars will be poorly allocated. Take time to ask yourself honestly, “What people, wouldn’t benefit from my product or service at this time?” Also ask yourself if there are certain demographics/segments that aren’t your ideal target audience and, therefore, aren’t a good use of your advertising spending. Another mistake can be too narrow of an audience. Although it is recommended to be specific when selecting your audience, setting your target audience too narrow can also be problematic. When you have too small of an audience (<1000 people), you might miss out on valuable customers/audience that could benefit from your product/service. It can be tricky, but it is important to test various audiences to find your ideal target audience size. Brainstorm various ways your product/service can be used. Think outside-of-the-box and get creative to find ways to expand your audience. Savvy marketers know to A/B test their ad creative, headline, images and landing pages, but it’s important for marketers to also A/B test their target audience. A/B testing your audience by creating campaign variations will allow you to test your advertising content among different audience combinations and learn what audience engages more with your content. For example, create Campaign A and target your audience based on their skills and position within the company: geography + skills +years of experience. With Campaign B, base your target audience on specific interest: geography + function + member groups. When you select your audience, Campaign Manager will provide some suggested options based on your selections (i.e. various subsets of marketers). 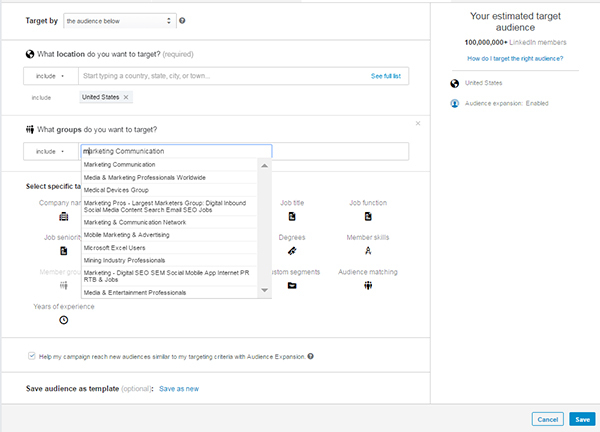 It’s easy to create new campaigns on LinkedIn, so devote at least one to testing different ways of targeting your audience. 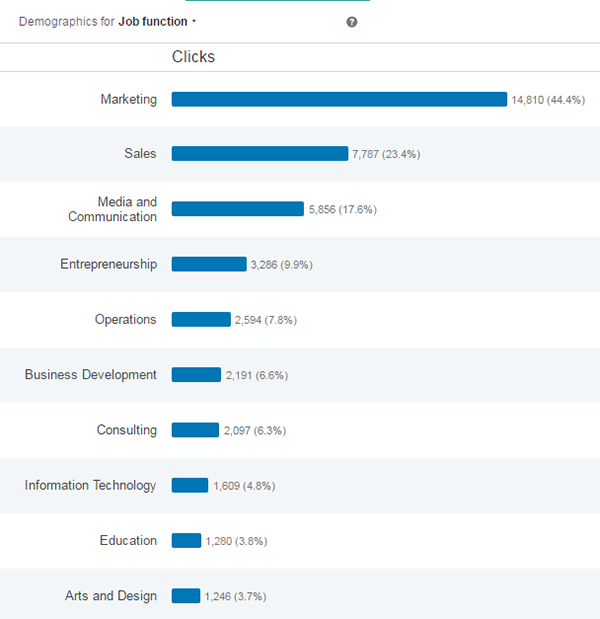 Try filtering by skills versus job title, industry versus function, and with or without geographic limits. Keep refining over time, and you can find a more relevant audience without sacrificing reach. After your campaigns generate impressions and clicks be sure to review the demographic reporting. This reporting will provide clarity and insights about which audiences are engaging with your content. Once you have reviewed demographic reporting, make sure to suspend/pause the underperforming audiences and focus on optimizing campaigns that target your most engaged audiences. Consumers are bombarded with competitive advertising clutter; if you avoid these three common mistakes when setting up your target audience you will be in a better position to break through the competitive advertising clutter and reach your ideal audience to generate high-quality leads. If you’re looking for a deeper dive into targeting, you can find more tips here. For more detailed information on Campaign Manager reporting, visit this page.